We have this speaker and love it! 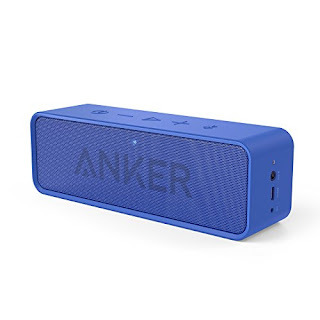 Head over to get this Anker SoundCore Bluetooth Speaker for ONLY $23.98 (Retail $79.99)! Soundcore delivers remarkable sound and incredible build quality at an unbelievable price. Boasting an impressive 24-hour battery life to play your soundtrack all day long, SoundCore takes you on an unforgettable journey. Music is no longer lost in the background, it becomes the core of your adventure.